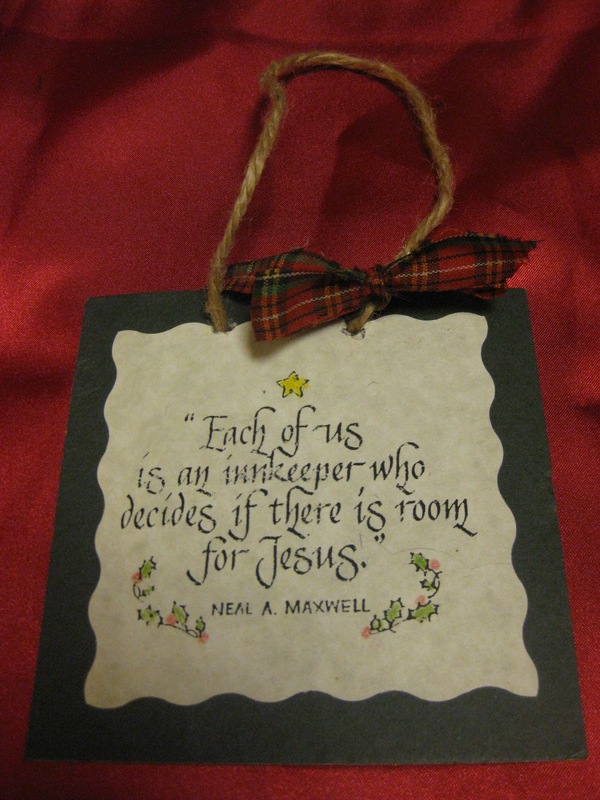 This is an easy religious Christmas ornament craft you can make. 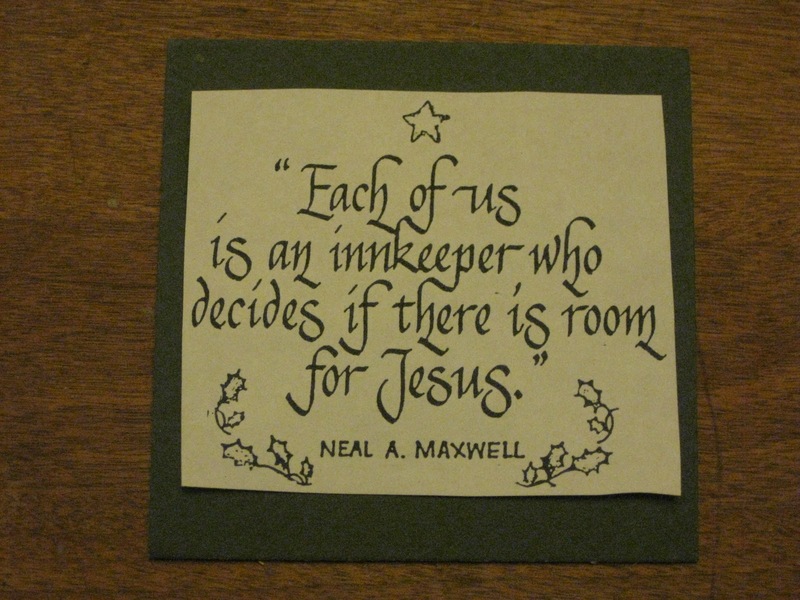 You can use this as an ornament, a door hanger, or a package topper. You can make it any size, but the one above is 4"x4"
1) Go to craft store and ask the frame department for mat board that hasn't been cut yet. Choose your color, mine is forest green. Do yourself the favor and pay the few dollars extra to have them cut the board for you into the desired size squares. 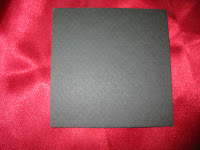 4"x4" framing mat board in forest green, cut by the craft store framing dept. 2) Create the following quote in your word processor on the computer in the desired font and style. Make it so it will cut out smaller than the mat board. 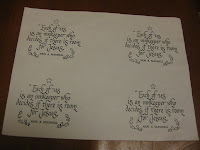 Print on your desired paper, mine is on a cream colored antique type paper. 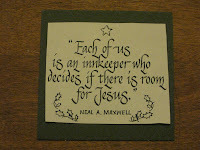 3) Cut out quote. 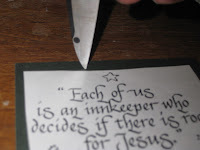 You can use a fancy edged scrapbooking scissors or regular scissors. Using a glue stick, glue quote to center of mat board, making sure it is centered. 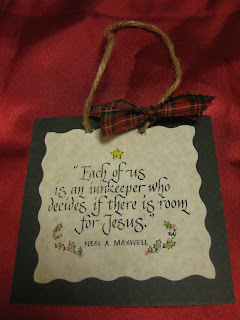 4) Poke two hole near top of ornament to thread the jute/ribbon through for hanging. 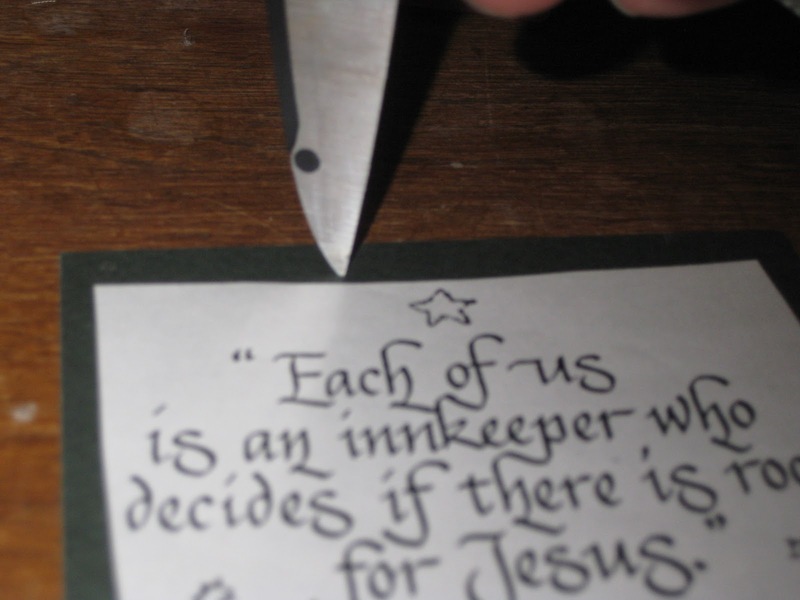 There maybe better ways, but I just took the sharp end of my scissors and just carefully bored a hole through the mat. Space your holes at least 1 1/2 inches apart, but choose the distance to your taste. 5) From the front side of the ornament thread your jute or ribbon through the first hole to the back side and tie a knot in it large enough so it won't slip through the hole. Now. Decide the desired length for hanging and cut the jute/ribbon to that length allowing a bit extra for the last knot. Feed the other end, you just cut through the board from the front to the back and knot it also in the back of the ornament. Thank you for taking the time to create this tutorial, we will be making these with the ladies from Church! Hope it goes well! I've done it for our group before and it makes a nearly free and easy to finish craft! I was wondering what font you used for this? I made that master sheet of the quote more than 10 years ago so I don't remember. It is pretty though!Sorry I couldn't be of more help! You know somewhere I may still have my master page. if I do I'll see if I can scan it in and make it a printable sheet. If time allows me to dig for it I will do that! Thanks so much!! Just love your ornament! !